The piercing steel-blue eyes of Livio Suppo will no longer grace the MotoGP paddock, as the 53-year-old Italian recently announced his departure as team principal of the mighty Repsol Honda Racing following Marc Marquez’s fourth premier class world title in late November. 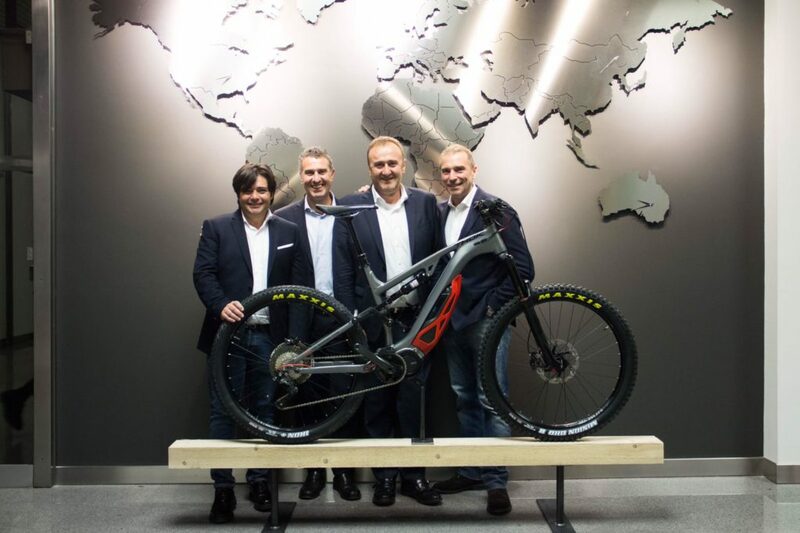 In a surprise move, Suppo will join long-time mountain bike riding friend Stefano Migliorini at Thok E-Bikes, the Italian electric mountain bike company already making ground in the burgeoning market. 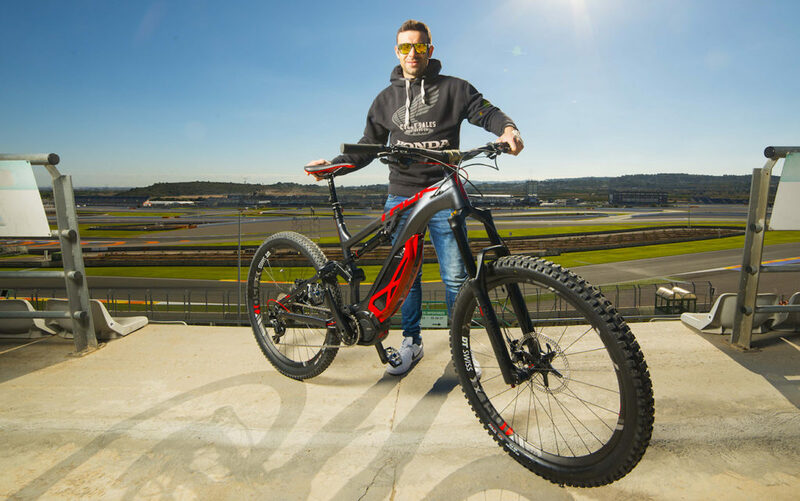 Suppo’s decision to jump from MotoGP to e-bikes will certainly have large ramifications. We spoke with Suppo to discuss his new career path after he took time off from his celebrations with HRC. Q: Congratulations on your new career shift! I bet it felt good to leave the MotoGP world with another championship under your belt. 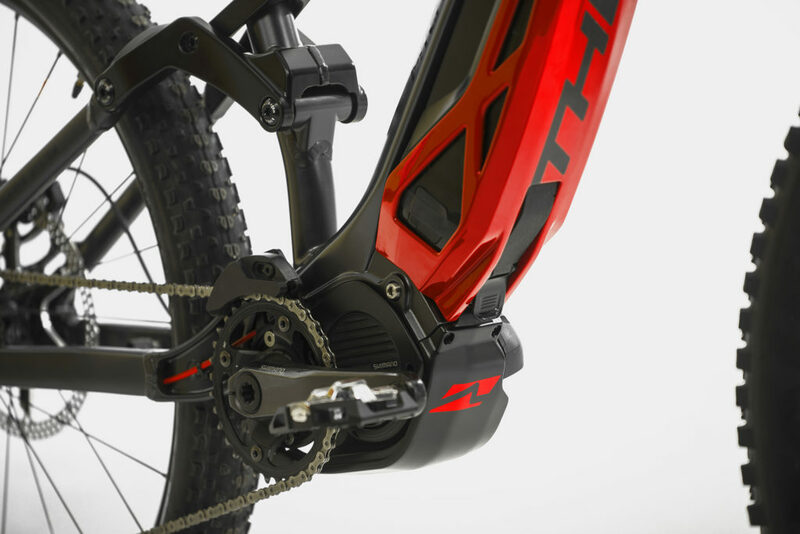 How long ago did you make the private decision to step away from motorcycles and into electric mountain bikes? Ciao! Well, it’s been a long process. I knew I didn’t want to stay in the paddock all my life. I started planning to do something else few years ago, and at the end of the 2017 season I thought it was the right time to leave at the top. This gives me energy for my new project. Q: How long have you known Stefano Migliorini, and how did you begin working with him and Thok? Tell me about TCN Group, and what your involvement will be. I’ve known Stefano for many years, and we’ve always wanted to build up something together. This became a reality when we spoke with Giuseppe Bernocco and Sebastiano Astegiano, main shareholders of the TCN Group. We’re proud to have been able to build up Thok E-Bikes, a company that has the perfect mix of passion and entrepreneurial skills. Q: The pageantry and spectacle of MotoGP was be rather addictively intense. Did you enjoy your 22 years at that level, and what will you bring to Thok from that experience? I enjoyed great times in my MotoGP career. I had the honor to work for big brands, from Benetton at the debut, to Ducati Corse and Honda Racing. As a motorsport addict I couldn’t ask for more! 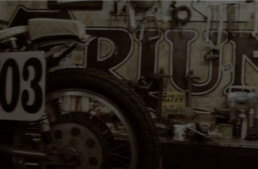 I hope that I’ll be able to bring good ideas and the same dedication to Thok as I did to my former MotoGP teams. Q: What did you learn the most from your time in the MotoGP paddock? Many things! I spent 22 years of my life with them, so clearly I learned a plenty. The most important thing is “never give up.” In racing as well in life, this is a must. Q: You’ve worked for two titans of the motorsport world, Ducati and Honda. As we see with the bicycle world, Shimano reigns supreme, with Bosch, Continental and others joining the electric bike revolution. Even Yamaha has entered the arena. Where do you and Stefano plan to take Thok? Will you rely on the contacts you made at the highest level of MotoGP? 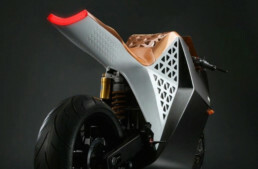 The Thok E-bike project is super exciting! Stefano and I are building this “start up” in a fast growing market. 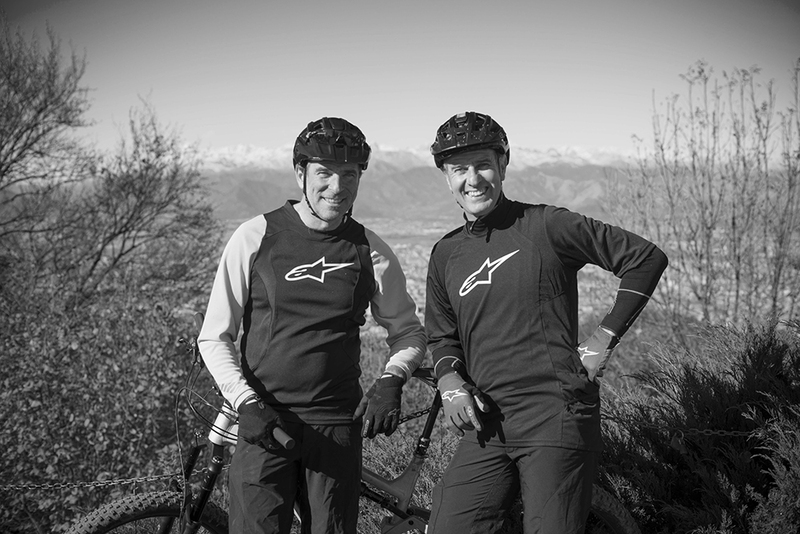 Everything is new for me, while Stefano has experience in the mountain bike world, where he was a professional racer in the `90s. 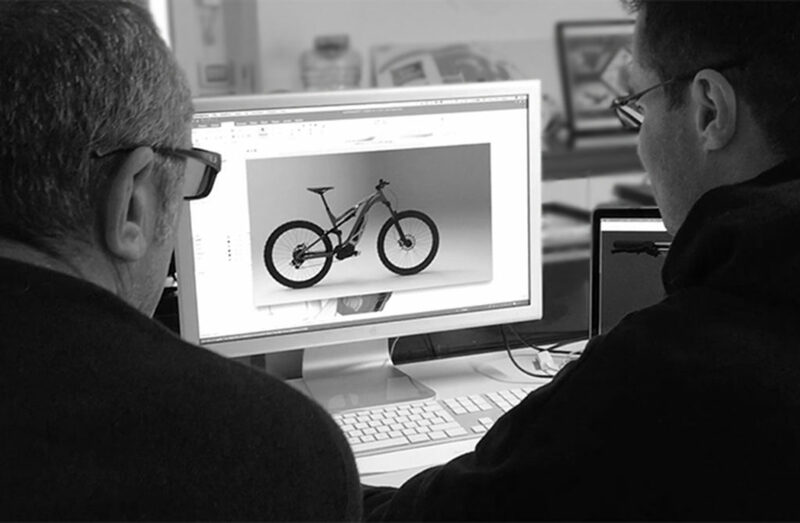 Our goal is to build something special, with high performance ebikes with an Italian design in cooperation with famous MotoGP designer Aldo Drudi. Toni Bou, 22 times world trials champion, is our brand ambassador and also helped us develop the MIG model. And we have several clients related to MotoGP, including 250cc world champion Loris Capirossi. 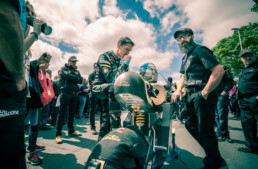 Q: What’s the potential of electric motorcycles, now that Dorna has committed to a new support class? Mugen certainly seems to be the favorite for Dorna’s one-make plans debuting in 2019. It’s difficult to say in the short term. The future will certainly include electric in MotoGP, but nobody knows when and if a complete switch to electric will happen in our lifetime. Dorna, as always, has done a good job anticipating the future and I think they will be ready thanks to the new support class.